If you are suffering from an unbalance of spirit, or looking for a healing method that does not require medication or a way to get your mental health back on track, Reiki is for you. This ancient healing method is what is called an energy healing because it draws upon energy, Reiki energy, which is also called universal life energy. Reiki is a spiritual way of healing that works on healing people mind, body, and spirit through the manipulation of energy through the use of hands. By using various hand placements, including the chakra points, which helps direct energy to where it needs to go. Reiki can be used as a self-treatment or on others; it can even be used on animals. 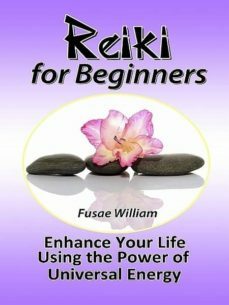 If you are looking for a time honored healing method that will open up a new outlook on life and comes with a spiritual opening, then Reiki is just what you are looking for.